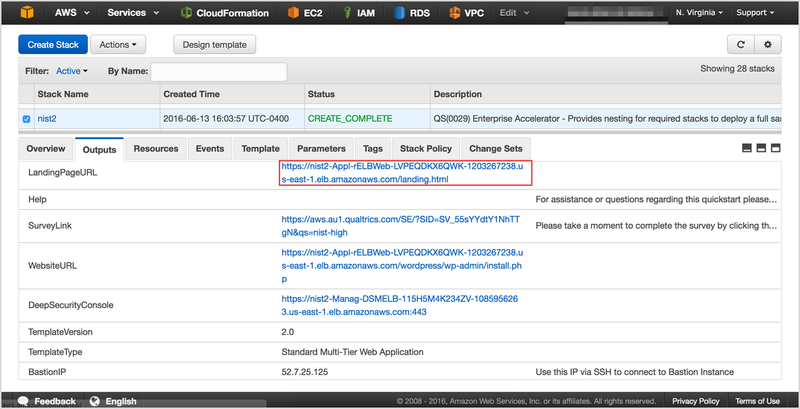 To test your deployment, choose the link for LandingPageURL, as shown in Figure 13. This URL is available from the Outputs tab for the main stack. The link should launch a new page in your browser that looks similar to Figure 14. This deployment builds a working demo of a Multi-AZ WordPress site. 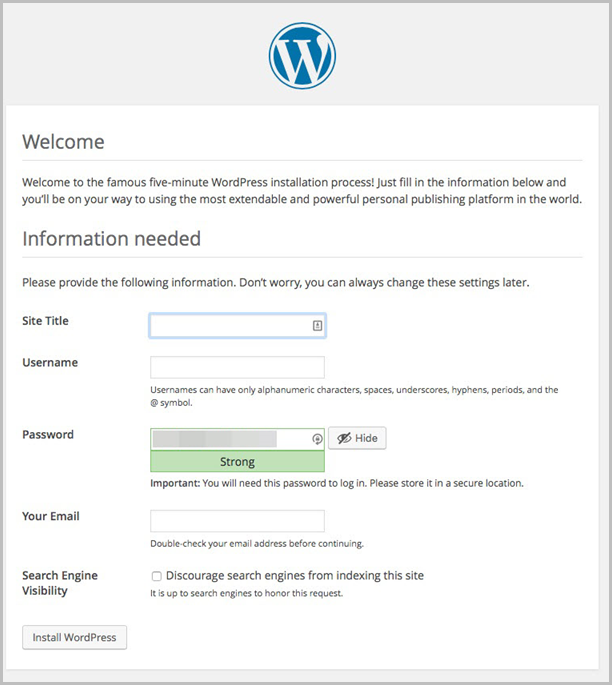 To connect to the WordPress site, choose the URL provided for the WordPress application on the landing page shown in Figure 14. This URL is also available from the WebsiteURL link on the Outputs tab shown in Figure 13 for the main stack. This URL brings up the page shown in Figure 15. You can install and test the WordPress deployment from here. 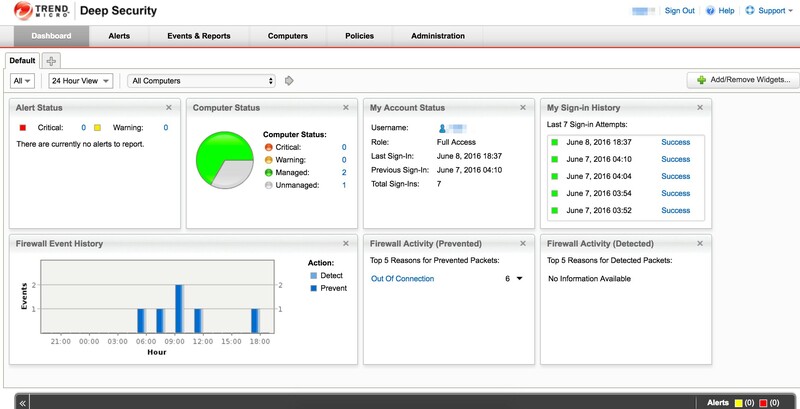 For Deep Security, this deployment provides a web console for configuration and management, illustrated in Figure 16. To access this web console, choose the URL provided from the DeepSecurityConsole link on the Outputs tab (shown previously in Figure 13) for the main stack. 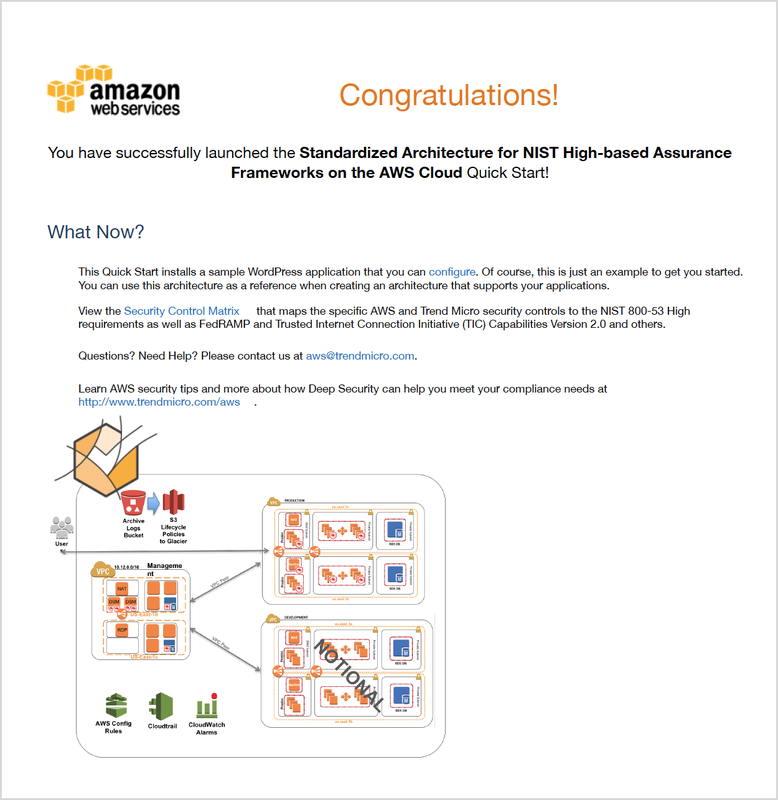 Now that you’ve deployed and tested the NIST architecture on AWS, please take a few minutes to complete our survey for this Quick Start. Your response is anonymous and will help us improve these reference deployments.